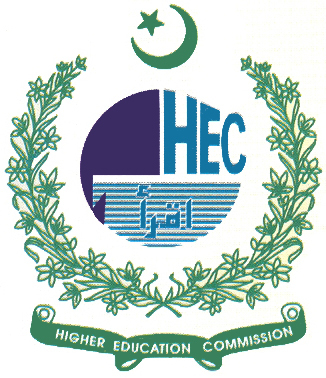 The Higher Education Commission (HEC) of Pakistan is all set to collect millions of rupees in fines from research scholars who did not complete their degrees despite receiving huge funds from the HEC, Pakistan Today learnt on Monday. According to details, the HEC has finally decided to take stern action against irresponsible PhD and MPhil research scholars who did not complete their degrees despite receiving funds from the HEC. During the last few years, the HEC had awarded various scholarships in pure sciences and social sciences to raise the status of research. The move was made to produce more PhD students to compete with international universities having hundred percent PhD faculties across the world. As a favour, the HEC had asked varsities to increase the number of PhD teachers and had promised to provide financial support to students pursuing higher education. However, many scholars did not complete their degrees after getting the grants, hence causing academic and financial loss to the government. Sources said the HEC had prepared a list of 150 defaulters and would start disciplinary action against them soon. They said such incidents had happened in the past as well but this time around the commission was undergoing its worst ever financial crisis and would not spare fraudsters. They said the defaulters belonged to various public sector universities including University of Engineering and Technology (UET), Punjab University, Islamia University, Bahawalpur and Bahauddin Zakria University, Multan. The list included both scholars studying at local universities as well as those enrolled in postgraduate programmes abroad. An HEC official said on condition of anonymity that the scholars were involved in a double crime as on one hand they were receiving money from the HEC and on the other they were being paid for teaching at private universities after taking a leave from their varsities. He said it was a tragedy that the scholars were studying on government expense and serving the private sector. He said: “We allow four years’ time to PhD students and two years’ time to MPhil students to complete their degrees. There are numerous candidates who have not informed us about their degrees for years.” He said the HEC was not only giving funds to the scholars but was also paying their research supervisors and the defaulters would have to pay back the full amount to the HEC. Another HEC official dealing with the scholarship programmes said the HEC had provided scholarships with the aim to increase the number of PhD teachers at public sector universities but some corrupt people exploited the commission’s resources. He said: “We are launching a serious drive against such defaulters. We have already sent written warnings to scholars and their respective varsity administrations regarding the action. We may even go to court if the need arises.” He said in the past the commission’s recovery in such cases had been a hundred percent and was hopeful that funds would be recovered without legal action. He said HEC scholars in foreign countries were facing financial problems and by collecting the defaulted money, the commission would be able to help students abroad who wanted to continue their studies. HEC ignoring the corruption in University of Balochistan and Lasbela University. Good news, HEC must severely punish and black list them for rest of their life in Pakistan and fine them heavily to these so called researchers who used public money for their personal gains and comfort abroad and deserting our beloved country. They should be even tried for treason! PHD degrees have no fix time. This is also not the course work where you can pass and fail. Depends many personal and ground reliaties. Those are but not limited to research advisor attiude & interest, kind of financial and R&D constraints invloves in the research project, personal & family emerging problems or tragedies etc. (These are ground factors those can make unsuccessful even to most brilliant person). Therefore, it is ok to recover money from whom those failed but it is obsolutely wrong to punish, blacklist,consider or call as criminal or as not loyal to country. Moreover, there are also many examples in the Pakistan histroy, scholars finished PhDs abroad later or sooner, learned and get expertise in hightech abroad, transfer technologies to beloved Pakistan by retrurning after few years or indirectly support to the universities and organizations In Pakistan. Where, country like India, china governments itself believe & prmote to see their researches & engineers working in the advanced country so that later they can support country directly or indirectly. at the same times, HEC is highly unreliable source for scholarship ..they stop scholarships in between the course of study and give a straight reason that we r running short of money which is unacceptable. They leave stud in between. In that case they r not bound to get nay thing back..
HEC kill such a scholars who involved in corruption, how they will serve Pakistan either they already corrupt and wasting nation money and rights of others good students. if a student got failed in abroad due to bad attitude of advisor,then he informed to relevant universty or to HEC and came back to Pakistan.tThe relevant university issued a notice of recovery.In my view ,a lenient view should be taken.The attitude of university is very bad. Please kindly take serious action for the supervisor of local universities become a main reason for this issue. Most of the supervisors have no time to finalize thesis. Even student had been involved in good achievements through HEzc funding. There is some issues regarding senior phd student completing their degree so young student who hasvfinishef thiet finding of research with good result must wait until for their seniors…. This is very true…i had completed my course work for MS in 3 semesters…and it took me 3 semesters to complete my thesis…what a shame…the supervisor was rude and didn't give proper time…i didn't continue my PhD then.. bcoz i thought my scholarship got cancelled. as in the first two years i was required to submit a progress report twice a year but when my thesis was extended..no communication was made by HEC. MOreover they paid me Rs. 140000 for my fee, whereas i had paid above 2 Lac to university. are u currently get admission in phd? HEC WILL TAKE THE ACTION AGAINST DEFAULTERS BUT WHO WILL TAKE THE ACTION AGAINST UNIVERSITIES DELAYING THE STUDENTS. STUDENTS HAVE ANY RIGHT OR ALL THE RIGHTS ARE RESERVED WITH THE PROFESSORS, UNIVERSITIES AND HEC. WHAT HEC IS PAYING TO STUDENTS THROUGH UNIVERSITY MANAGEMENT REACHES THE STUDENTS AFTER A LONG STRUGGLE. STUDENT IS TO FIGHT ANOTHER WAR FOR THEIR SCHOLARSHIP. What is the rule of HEC if a supervisor's project is getting failed and scholar is not completing his/her degree on time? HEC always has been strict on student not on supervisors as I have observed. what hec could do or not to do. first let decide who have authority wether hec or any other. there fore a transparent policy be published at national level and wide publicity be given in all universities. The policy be framed in participating all stake holders. what ever the poluicy today is. This has been framed by very few people and is beeing executed on liking and disliking basis, and region to region basis. There fore we sugest policy be framed on that criteria only nothing will be accepted. HEC! Please reform a Strict Law for funding provided that after passing PhD Degree the Scholer must come back to Pakistan, otherwise pay back whole money. Also get their report after every six month, from the university they are enrolled with. Any hanky panky must be dealt on time. Don't let any Scholer use the Pakistani Nation's money for their own enjoyments. If any body found to be negligent punish them by taking every single rupees back and put their names on HEC Blacklist on HEC Website. HEC should provide 5 years job to scholars as per bond then blame scholars. What is the procedure for reporting defaulters to HEC who have availed their complete scholarship and not completed their 5 years working tenure in Pakistan? SAME QUESTION ?CAN ANY 1 HAVE ANSWER PLZ? Where is the website to complain about the HEC student which complete thier studies while still living abroad getting children money. I know one Person Muhammad Saifullah Khan, which completed his study five six years back while still residing in Sweden. Where one complain about it.